A novelty at Ste. Marie 2009. Excellent sample of Johachidolite, among the best for this very rare borate. 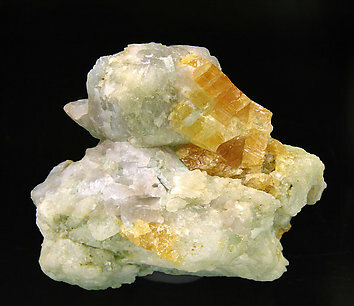 The crystals, with well defined faces and edges and orange color, are on a matrix of Quartz. A novelty at Ste. Marie 2009. 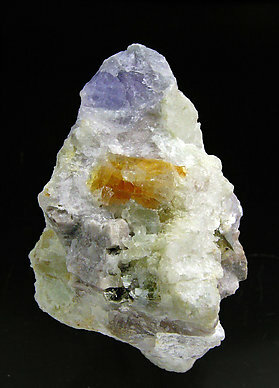 Excellent sample of Johachidolite, among the best for this very rare borate. The crystals, with well defined faces and edges and orange color, are on a matrix rich in Sodalite (Hackmanite) and Muscovite.